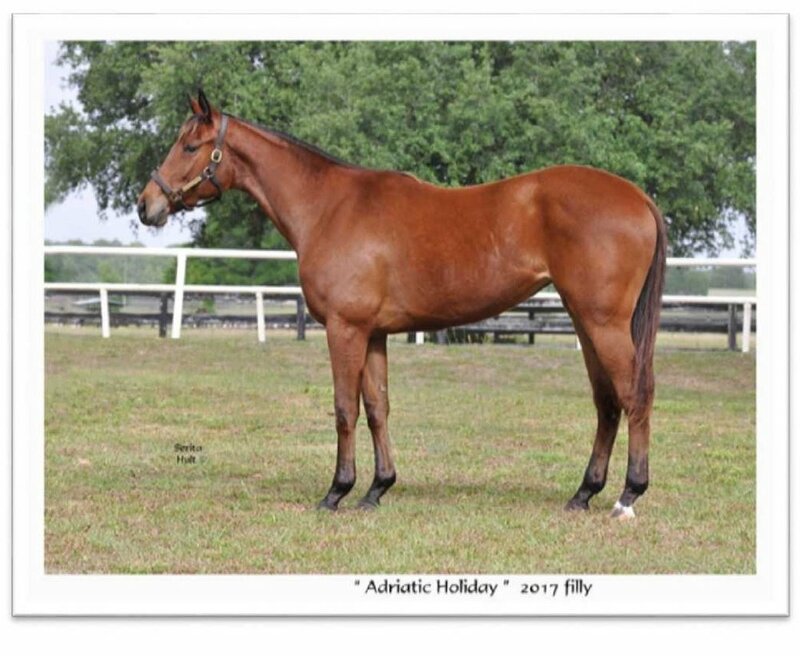 This Bay filly by Central Banker out of Adriatic Dream by Wild Desert was born on March 7, 2017. Central Baker is a black -type winner of four races with earnings of $599,796. He is a son of Speightstown, who was a champion sprinter and sire of 83 black-type winners. Central Banker’s first foals were two-year olds in 2018 when he was New York’s leading freshman sire and ranked in the top 10 nationally among freshman sires. The filly is a registered New York-Bred and eligible for New York Stallion Stakes races. Twenty-Five shares of #18 LLC will be made available at $5,000 with each share representing 3.80 percent of LLC ownership. The share payment of $5,000 includes costs of the horse purchase; liability and mortality insurance; all training and related expenses through September 30, 2019; the Sackatoga Stable website; a contribution to Old Friends to ensure a home upon retirement; and administrative and management activities. Five percent of the LLC is maintained by the management entity, Sackatoga Stable LLC. Should you have any questions regarding Sackatoga Stable #18 LLC, please contact Jack at (518) 461-1850.